Best in Dubai!! 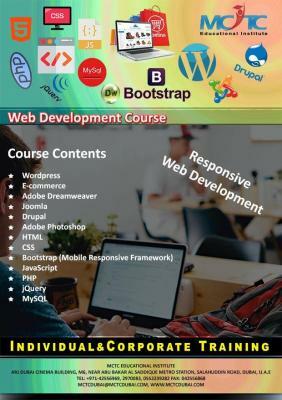 MCTC Dubai, a leading computer training center in Dubai provides project-based training for all latest web technologies. Our training methodologies are strictly based on the industry practices and it will help you to get direct entry to web development. Visit us and take a free demo class for your favorite course, you will feel the exact difference. Call 0552239282/ 042970083 /042556969, we will explain you more about our courses.